Hayes' Thoughts and Opinions on Political, Social, Economic, Technology and Sports Issues with Links to Related Sources. The United States vetoed a Security Council resolution condemning all Israeli settlements established in occupied Palestinian territory since 1967 as illegal, saying that while it agreed that the settlements are illegitimate the resolution harmed chances for peace talks. A reasonable question to ask is why does Israel continue to build housing settlements in the West Bank area of Israel? Most in the international community feel the growth of Israeli settlements in the West Bank, Golan Heights and East Jerusalem is in violation of the Fourth Geneva Convention. 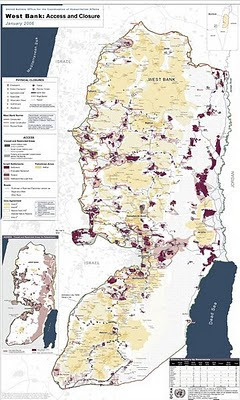 Israel counters and says it is within its rights as they entered these areas lawfully in self-defense. The Obama administration and the U.S.'s Ambassador to the U.N. Susan Rice are against continued Israeli settlement activities. The U.S. was the only veto (of 15 members (and one of five permanent members) stating the resolution risks hardening the positions of both sides and could encourage the parties to stay out of negotiations. Few pro-Israel groups chastised the administration for singling out Israel. Israel has is share of blame in the mess but they are the only party that repeatedly has offered a peace deal, that offered a ten month freeze, and that engaged in direct negotiations. The Palestinians who walked out of talks, refuse to recognize the Jewish state, and continue to incite terrorism. It is not as if we needed a reminder that the U.N. is anti-Semitic. We also know that according to most, they are also the cause of all of the ills and pro-democracy movements in the Middle East. Anti-Israel rhetoric trumps all. Raised in Ohio; educated in Southern California and Utah; served an LDS Spanish-speaking mission in Northern California; lived and worked in Texas, Missouri, Minnesota, Arizona and Utah; traveled to 49 states and 31 countries; one wife and four children. Federal Government Bloat -- Duh! "Thank You," No, "Thank You"